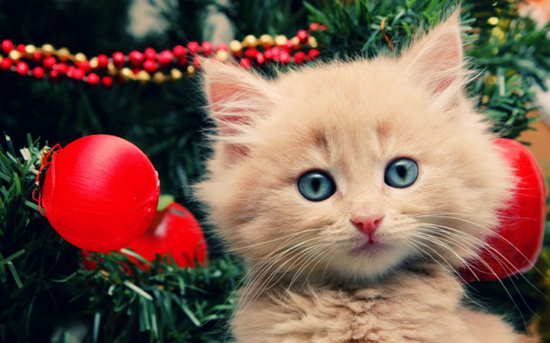 Christmas tends to bring out the cute and festive in every aspect of our lives, and what could be more sweet than creatures and characters celebrating, too? Who knows if they like it, but it sure is fun! 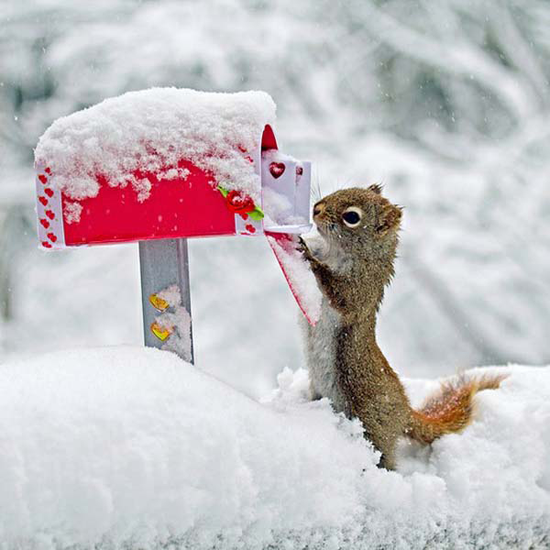 My Favorite Things has many fantastic products with adorable creatures to inspire you. Let's take a look at some awesome projects created with a cute cast of characters perfect for celebrating the holiday season! 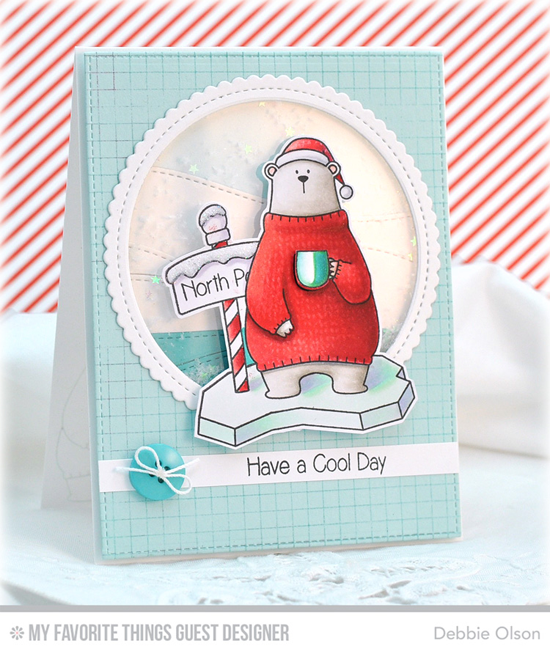 Debbie's festive design features one SUPER cute polar bear from the Cool Day stamp set celebrating at the North Pole. 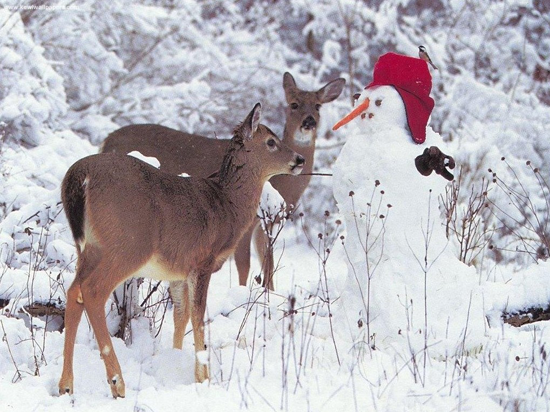 I sure hope that mug of deliciousness is warming him up! 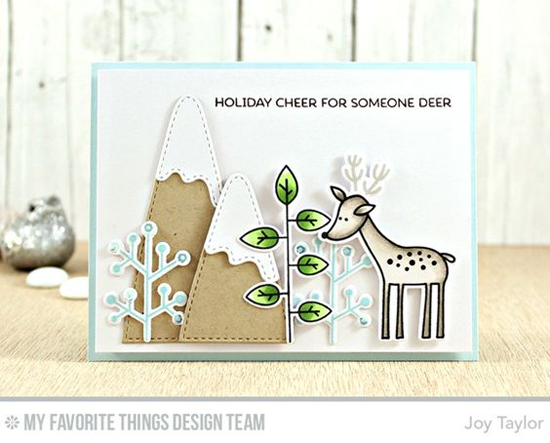 Joy's pretty pale design featuring the Deer Friends stamp set and Snow-Capped Mountains Die-namics is simply lovely, don't you agree? A peachy sky is the perfect background for Torico's sweet card featuring the Beast Friends stamp set. I absolutely ADORE the snow she added to the pine trees. 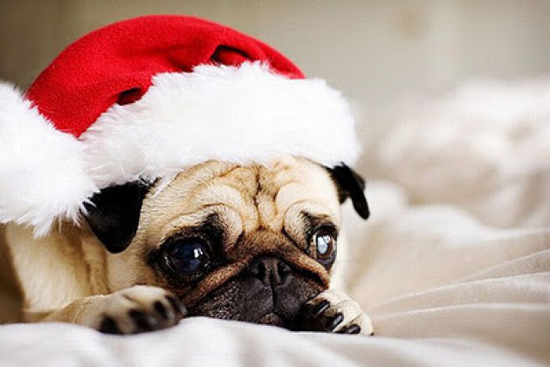 Just too cute! 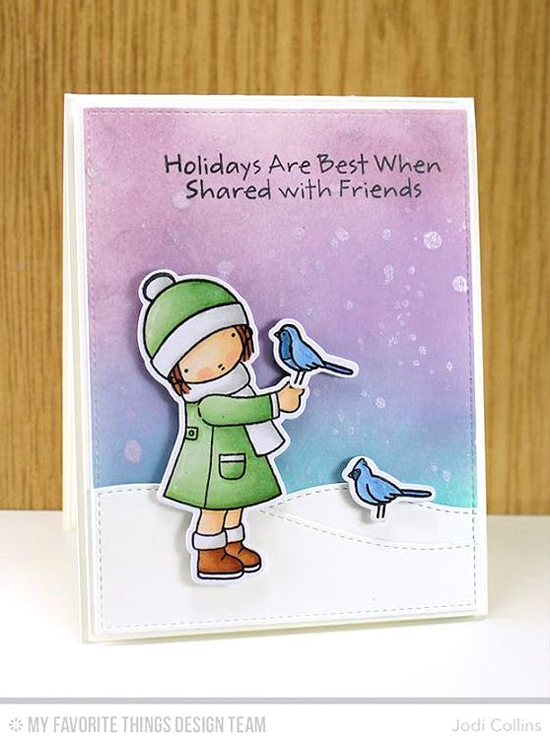 Jodi's charming holiday design features the Season's Tweetings stamp set. How pretty is that gradient sky that complements the little girl and her birdie friends so well? Julia's snuggly design features that oh-so-CUTE moose from the Merry Christmoose stamp set. Her pencil coloring gives this card a homey feel, but the all white background lends it an air of sophistication. Fab! 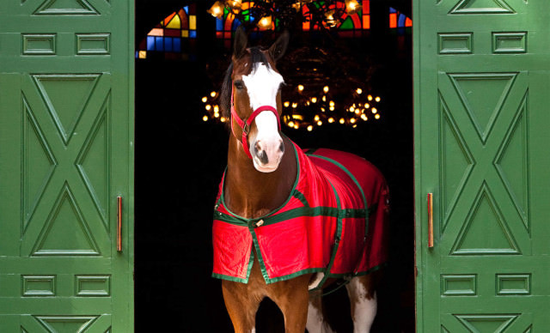 Before you go, take a look at a few of the festive creatures and characters you can buy at the My Favorite Things online store! Simply click on the photo to be taken directly to the product. If the product is currently out of stock, you can sign up for an email notification once it's back in stock!